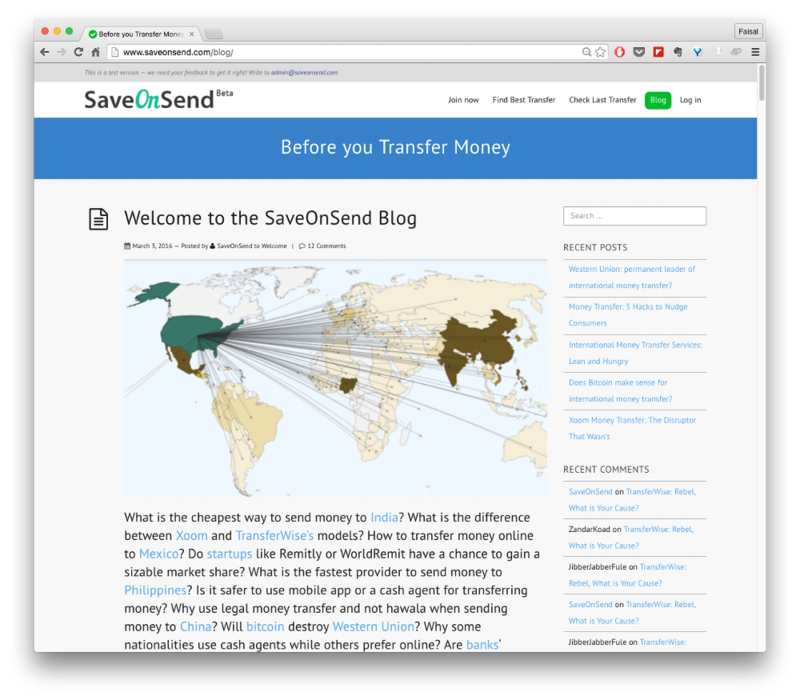 Choosing the Top 10 Remittance (Money Transfer) Blogs was no easy feat, and it is not because there are so many of them. In fact, there aren’t enough of them. But that is a story for another time. How much they talked about and covered the industry. 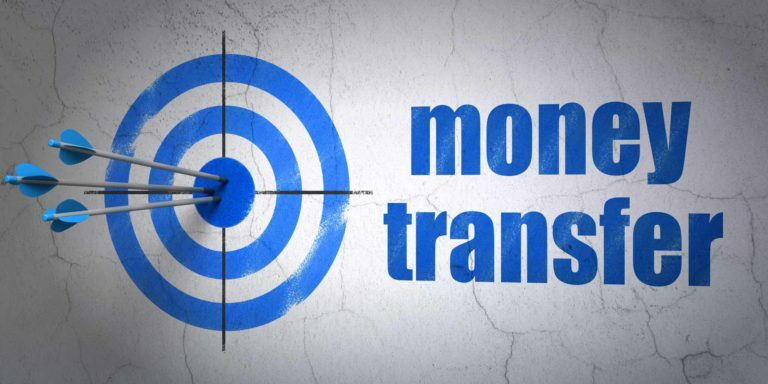 How often we refer to them in our day to day usage within the money transfer field. 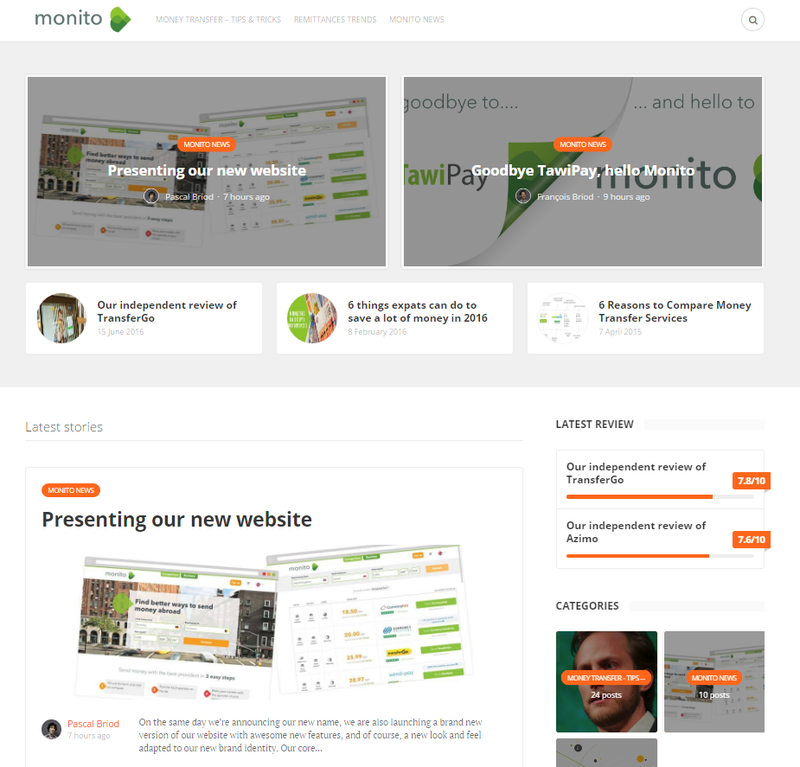 Comments: Monito (formerly TawiPay) was one of the first platforms on the web that enabled users to compare the price of remittance amongst different providers. The Swiss based startup has come a long way since then. They are intimately knowledgeable about the industry and publish a great blog that not only highlights the remittance trends, but also do product reviews, interviews and many a times are a great source for reporting data. They’ve upped their game by not only putting out engaging content, but actively now published videos interview and reviews. 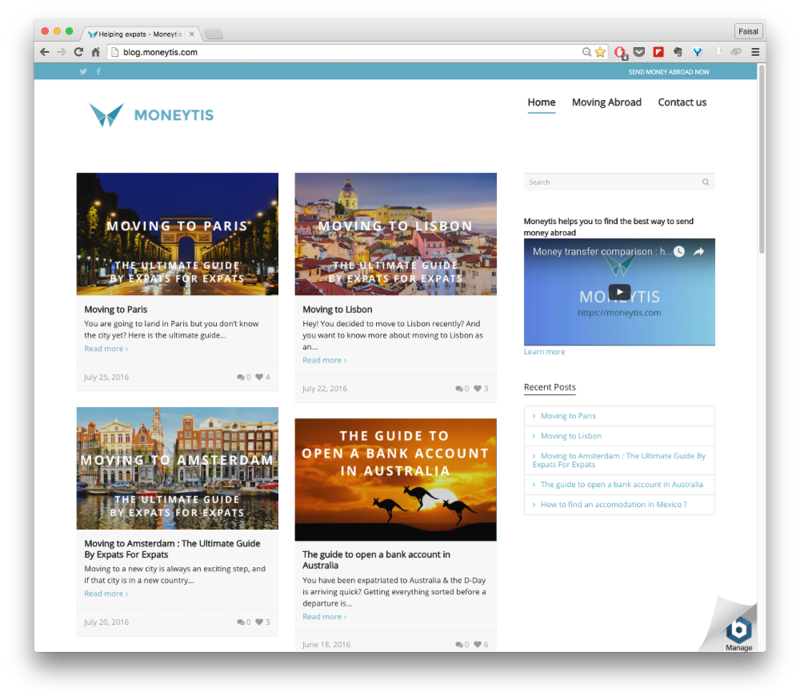 Comments: Another great money transfer comparison website, however I know them best for their blog. They put out very detailed (read: well-researched) content out, especially their analysis on various providers, dissecting and breaking down the nitty-gritty. Often in my consulting assignments, I’ve seen clients refer to SaveOnSend analysis which are used (a lot) by analysts in investment banking, private equity and venture capital. Comments: XpressMoney’s blog is love! I’m extremely biased when it comes to XpressMoney, as their social media efforts are top-notch amongst the money transfer / remittance players. Their output is polished and hard-to-beat. The blog is no different. The content is balanced, which I love and the content itself is genuinely a pleasure to read (not to mention, informative). Comments: It would be sad day for all of us, if the Oracle of Remittances, Dilip Ratha’s website/blog People Move was not included in the list. 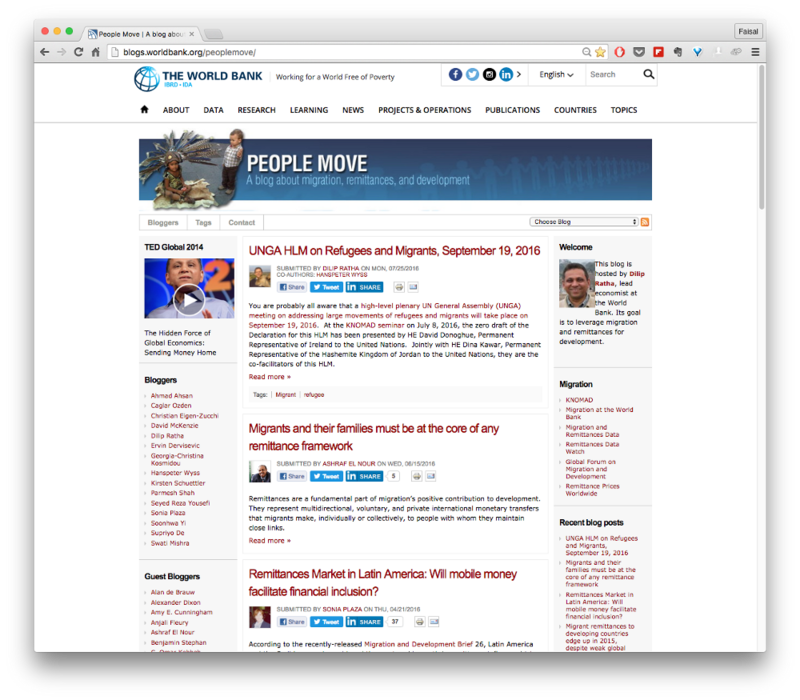 The World Bank blog covers everything related to remittances, migration and development. Most of the information published on this blog is not only authoritative but it also has a sideways and downward mobility action, i.e. everyone cites it. I’ve said this before, there is hidden gold in this blog. You have to dig it out. Comments: WU’s blog makes the list not because they are the largest player in the market, but because they really publish an extremely well-balanced blog. It’s not all about WU (you can visit the Press Section for that). They covers human element. It is as if you were reading Medium. The blog has a more artistic tone and sometimes an entrepreneurial tone to it. It covers money, but in a much more dignified and subtle sense. Comments: Again, a very well-balanced blog. Not in your face marketing. 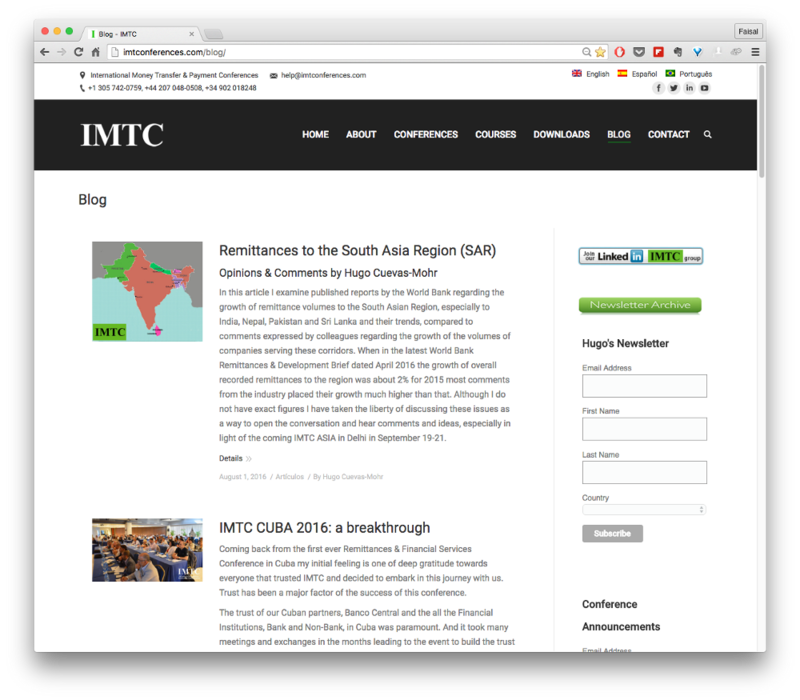 What I love about the blog is that it is catering towards topics and subjects that are the basis of remittances, i.e. migrant workers and the cultural blending in society that they have to deal with. They do a superb job of educating on various niches in the simplest of terms. British Queuing justhappens to be one of them! 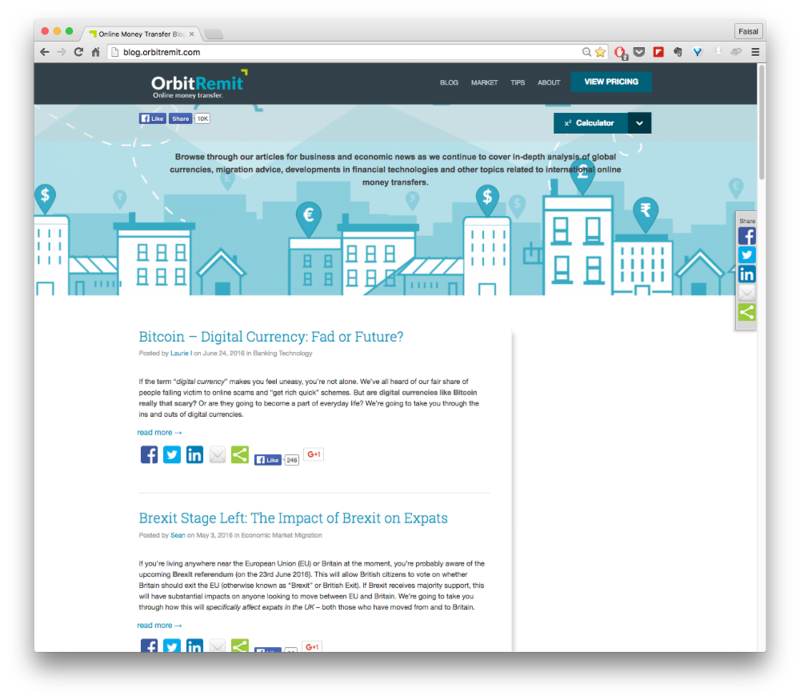 Comments: Orbit Remit is a first time entrant for us. I wasn’t a regular reader of this blog, till recently. 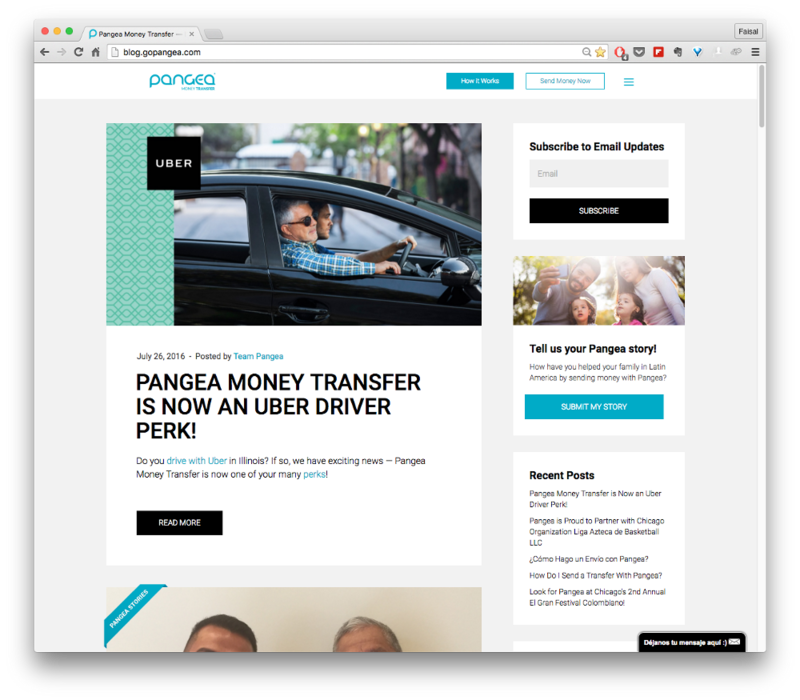 They cover the zeitgeist of money and the money transfer industry quite well. Balance, well written blog articles. Comments: Another blog that came on my radar very recently. Though they are just starting out with their blog content, whatever little they have, is beautifully written and curated. 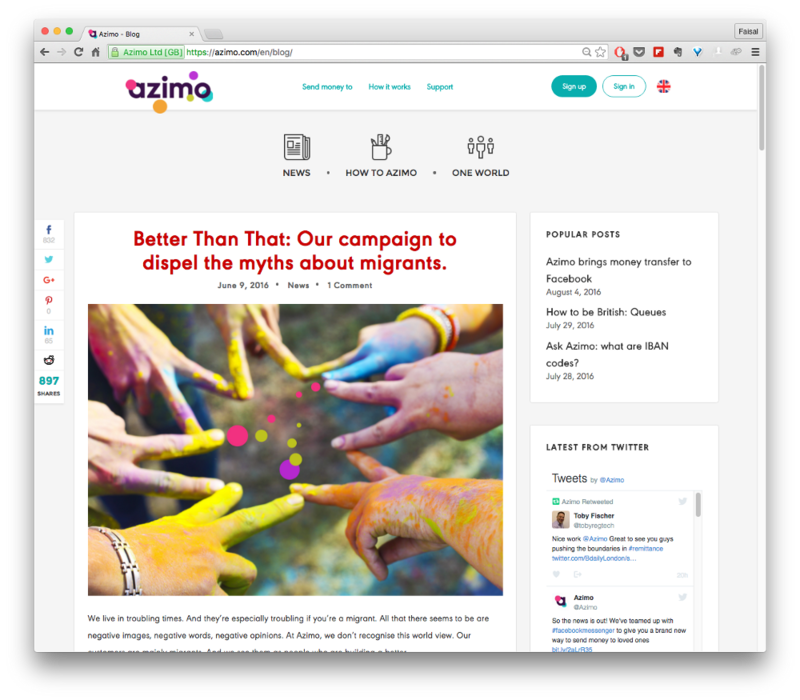 Great guides for migrant workers, very well explained, wish they would put out more. It is always a pleasure reading through it (yes, I do read the guides and judge if it was just thrown in there, or did real work go behind the content). In Monetis’ case, its the latter. Comments: If Dilip Ratha from The World Bank is the Oracle of Remittances, then Hugo Cuevas-Mohr is the Promised Messiah. For those in the money transfer / remittance industry, Hugo needs no introduction. Despite his work (and travel) schedule, he still manages to put out a stellar blog with deep insights into the industry because of the IMT Conferences. Comments: Great blog, with lots of content. However, it can be a bit tricky the first time you access it. 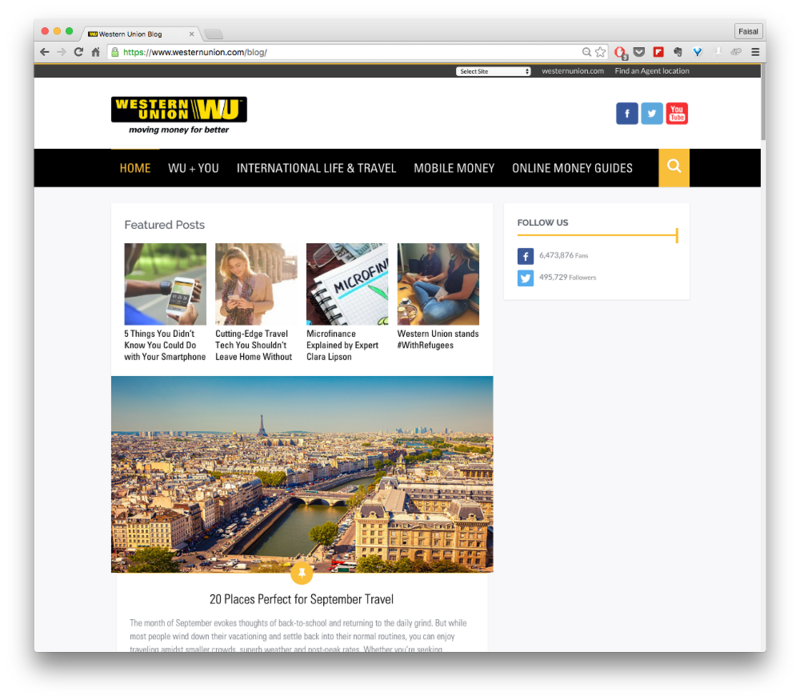 Seems there isn’t much content, until you click on the topics like Global Finance, Business, Life Abroad, etc. Very well balanced. 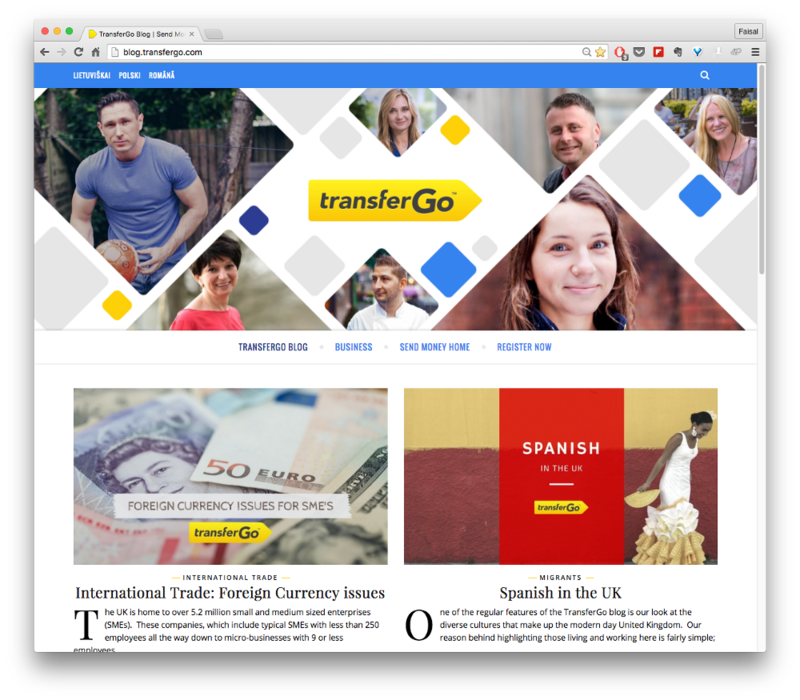 TransferWise also has two other blogs, one for the US and one for the German market, which really doesn’t make much sense. they should just stick to a single blog, but then again, their brand, their blog. Comment: Got to love the name of this blog, aptly called Cadabra (as in Abra cadabra). 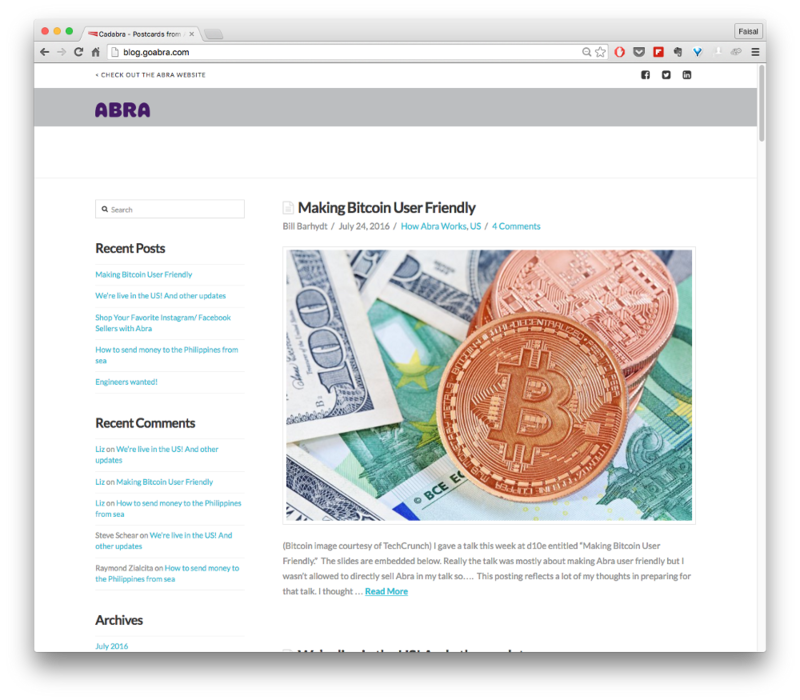 Centered around Bitcoin and Remittances. You’ll actually learn a thing or two from this blog. Comment: Another great blog worth bookmarking. 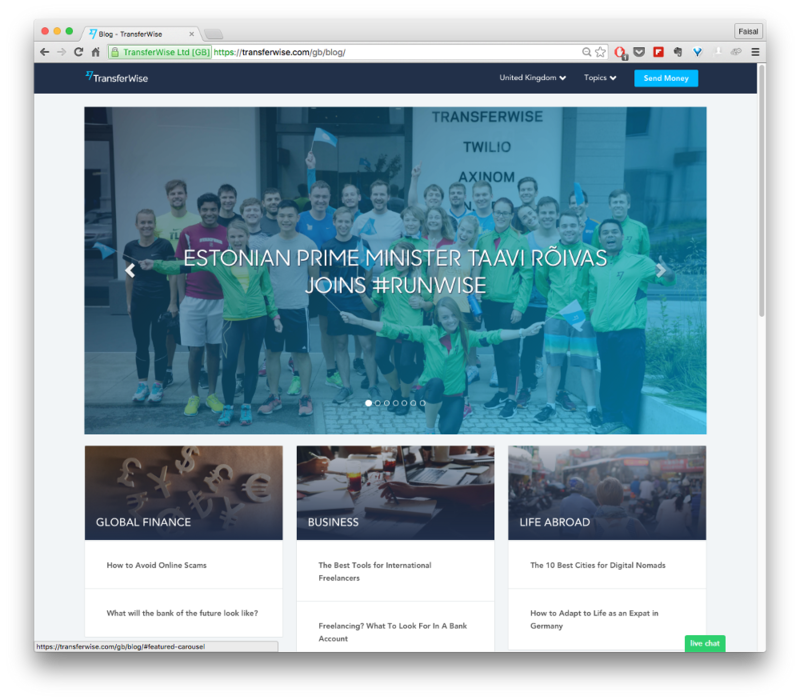 Comment: Since we can’t fit everyone in the Top 10, this blog is definitely worth saving and re-visiting. One of the very few blogs that is a pleasure to read. Aesthetically, it is beautiful. The font I love and the content, well, that is what made it come up as a runner up. 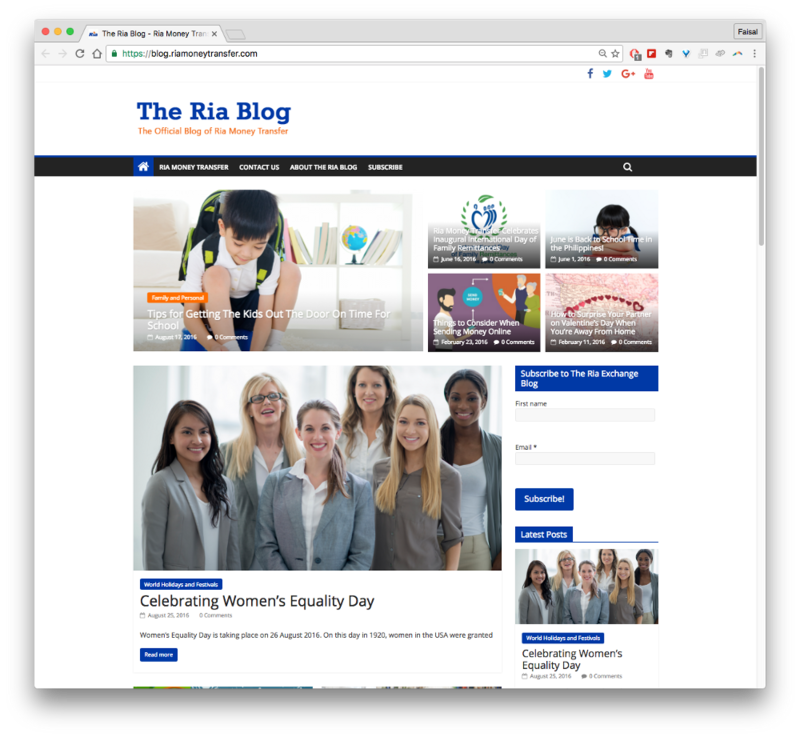 Comment: Ria makes the list because they have some good content, but they sadly mix their Press Release section so to speak with their blog, which is why they did not make it in the Top 10 (in my opinion). 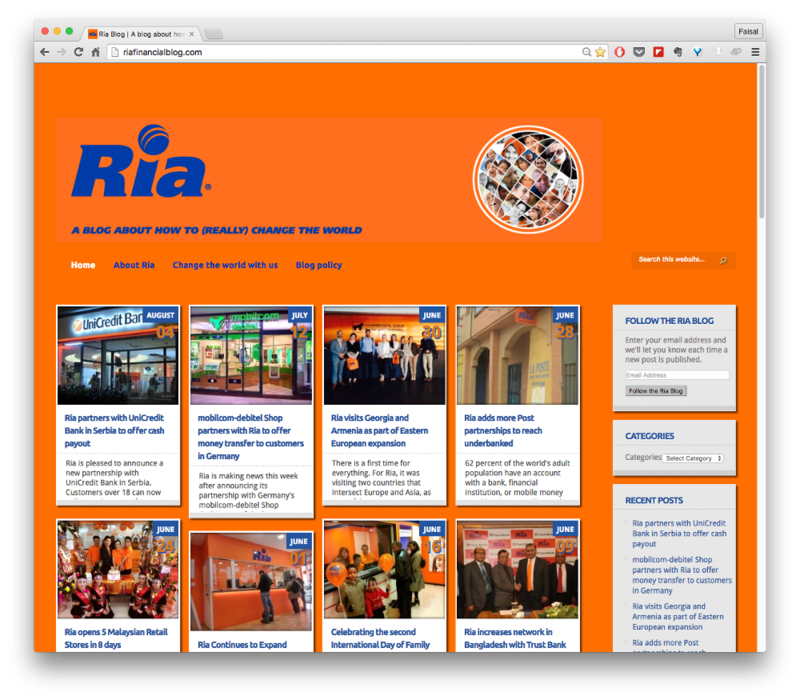 I’d love for them to segregate Ria-related news from great content they otherwise put out. It was too much Ria within the blog. 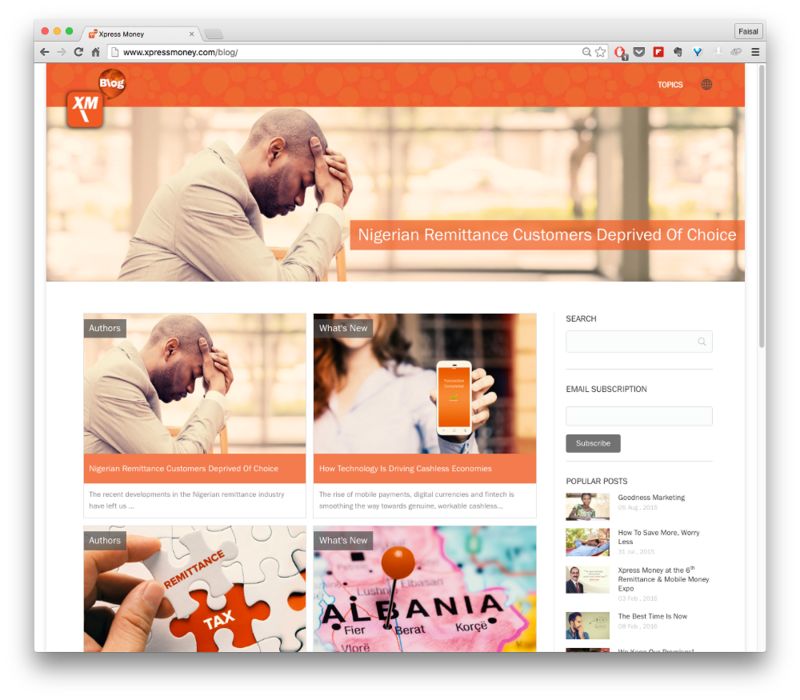 Comment: This is the customer facing blog for Ria’s money transfer website which focuses on their customers and the countries they come from. Although the blog has substantial content, I would love to see something different, more innovative and relevant as opposed to the content mill type articles currently on the blog. Comment: Not a blog per se, but it would be criminal not to include this in the runners up list. 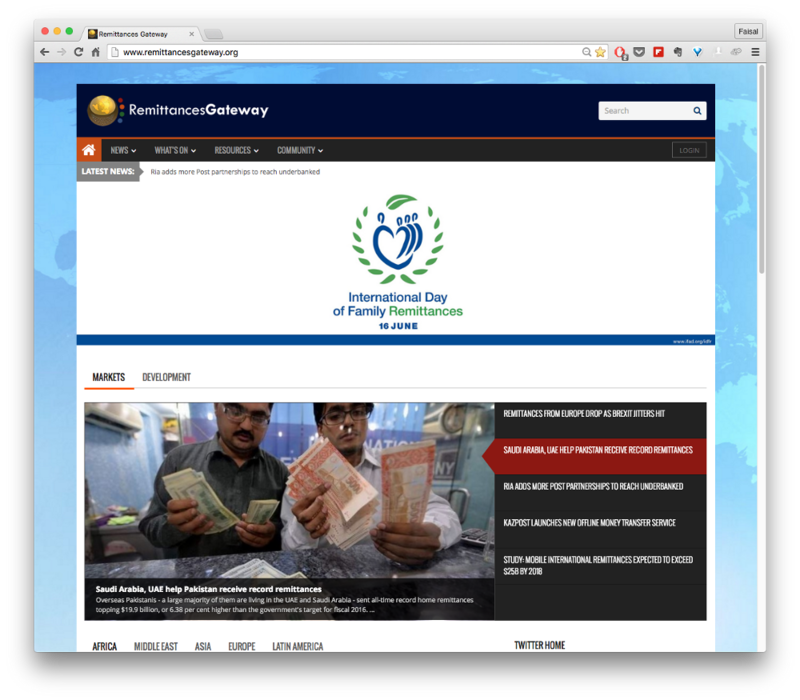 Contains a lot of data, news and resources centered around the remittance industry. B2B Payment Operators look towards Bitcoin.